Today is a little bit of a teaser. Sorry. Just as I did for Thanksgiving, today I'm sharing a Holiday Dinner Cooking Schedule for my favorite special occasion menu. This menu was my go-to for my catering days - all of my clients' favorites. 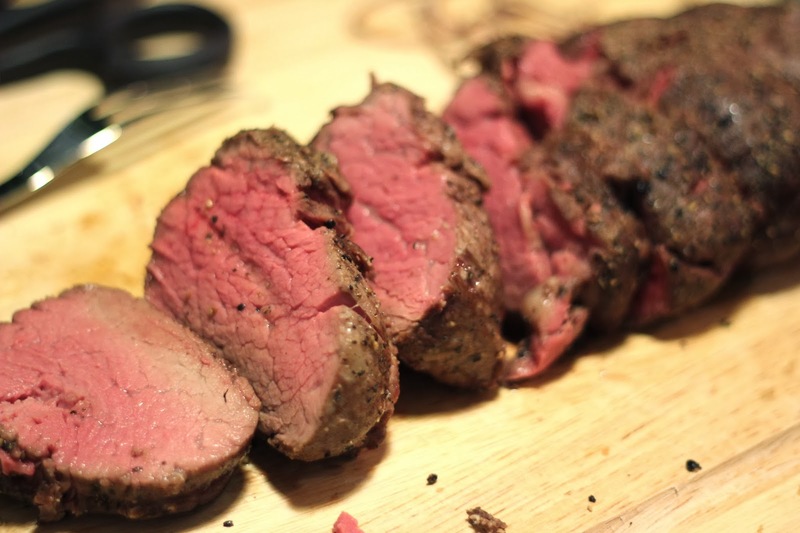 The Beef Tenderloin is unbelievable... and so easy. It is a little bit of an investment, but if you go easy on the rest of the meal you can pull it off. During the month of December, I would have made this 10 times for various holiday parties! I used a worksheet just like this to keep myself organized and to keep everything running on time... and ready at the same time. Timing is key for entertaining and doing a little countdown like this helps you be able to put your brain on auto pilot when your guests are there. You can find all of the worksheets for downloading (including cooking schedule, bar set up and blank) here in PDF, Numbers or Excel. I'll be sharing all of the recipes the rest of the week. One of the recipes that I've already shared is the Chocolate Molten Cakes. Not only was this my most popular dessert for my business, it has become my most popular post, as well. They are great for a crowd because they're made in a cupcake pan. I'll post all of the other recipes and updating this post with links Thursday - Friday! Have a great Wednesday! Woow, Wonderful Blog, Great,, love it..!! For the molten cakes, if I prepare and refrigerate them a couple of days in advance, should I take them out of the refrigerator early to let them warm a bit to room temperature before sticking in the oven? Looks like will be a delicious recipe to enjoy. I am a lover of different type of cuisine and searching from internet and other sources.